The term Maure derives from the Phoenician term Mahurin (Westerners). From Mahurin the ancient Greeks derive Mauro meaning dark, and later Greeks derive Maurikios after them, the Latin derive Mauri meaning dark African. From the same root we derive: Maur, Maurus, Marra, Moro, Morisco, Mohr, Moritz, Moor, Moru, Maru, Morelo, Maureta, Mauretania, Mauritius, Maureen, Maroon, Morocco, Moore, Maurice, Meuric, Meurig, Morien, Morin, Moryan, Moreto, and such. At one time the whole of the western arm of Africa (what is now West Africa, from Libya to Nigeria and around the Atlantic coast), was called Mauretania. The word Mauretania was interchangeable with all the names of what is now Africa: 'Ethiopia', 'Kemet', 'Netdjer', 'Sudan', 'Libya', 'Cush', 'Guinea' and the now defunct 'Negroland'. 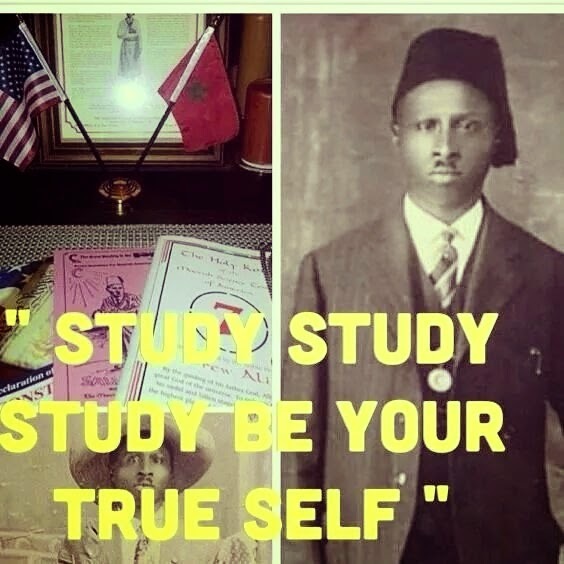 The Moorish Science Temple of America is an American organization founded in the early 20th century by Noble Drew Ali. He claimed it was a sect of Islam but he also drew inspiration from ancient freemasonry, Ahmadiyya Islam, Gnosticism and Taoism. 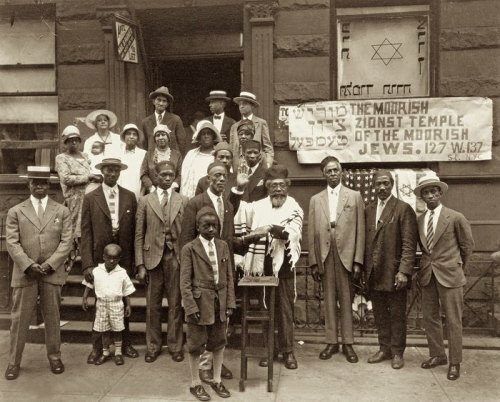 The expansion of the Moorish Science Temple arose from the search for correction of political status due to the preceding confusion of these indigenous, dark-looking Indian peoples with the African during the episode of slavery in the United States, which is believed to have confused the indigenous Moor with the African Moor/slave brought to the Western Hemisphere via the Transatlantic Slave Trade. The Moorish Science Temple of America was their creation to address this forced disconnection from the Western Hemisphere by confusion. The Washitaw Nation are dark Americans but they say they did not come from Africa but were already here in America and were the builders of the ancient mounds. Mounds and pyramid shaped constructions are found in the American States of Ohio, Tennessee, Louisiana, Mississippi and elsewhere. Poverty Point is the largest mound of these earthworks. The Washitaw had an established civilization in America and have been described as the oldest indigenous people. They claim they were there before the tribal peoples known today as Native American, and were there long before the white Europeans who invaded the land. The Empress Verdiacee Tiara Washitaw-Turner Golston El-Bey is the living heir to the ancient empire. In 1993, the United Nations Center for Human Rights, recognized the Washitaw de Dugdahmoundyah Muur Empire as the Oldest Indigenous group of people on Earth. 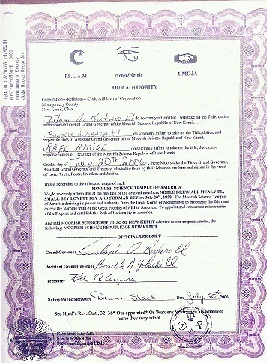 The registered Project # 215/93 ensued. From 15,000,000 to 20,000,000 slaves arrived in the Americas between 1540 and 1850 over?a 310 year period (according to US History books). If you look at the following facts of published material, we are living under another ideological part of American Revisionist History. Also, the following undermines the whole breadth and depth of what is written in American history books. INDIAN AFFAIR/TRIBAL GOVERNMENT: This site is To promote awareness of tribal governmental responsibilities and processes, and to provide tribes with the resources they need to foster strong and stable tribal governments in exercising their rights as sovereign nations. Moorish Republic of New Kemit is a melting pot of Moorish, Washitaw, indigenous Pan African peoples from across America (Al Moroc/Al Muracanos). Founded in 2006, the purpose of this said government is to preserve the rights of our people and unify the masses through one free national name. We honor all prophets and religious creeds. Click here: Join Moorish Republic of New Kemit's official website!!!!!!! Use this website to research legal cases, understand jurisprudence and Moorish Science. There are approximately 200 million people of African descent in the Americas, yet, despite comprising one third of the region’s population, Afro-descendants are one of the most vulnerable minority groups in the hemisphere. It should be noted that in the Declaration of Santiagoand the Declaration of Durban, the American states recognized that people of African descent have to confront obstacles as a result of the social discrimination and prejudice that prevail in public and private institutions and also recognized that this is due to centuries of racism, racial discrimination and enslavement and of the denial by history of many of their rights This situation also results in a lack of recognition for the contribution of this group to the cultural heritage of the Americas. We should draw attention to the fact that the Inter-American Democratic Charter recognizes that elimination of all forms of discrimination and respect for ethnic, cultural and religious diversity in the Americas contribute to strengthening democracy and citizen participation. International Public Law provides several instruments against racism, racial discrimination, xenophobia and related intolerance. At the universal level the United Nations has driven substantial efforts to combat these scourges. In the inter-American sphere, too, a number of mechanisms have been created to tackle this phenomenon and encourage respect for the rights of people of African descent in the Americas. Examples of this are the creation of the Rapporteurship on the Rights of Afro-Descendants and against Racial Discrimination of the Inter-American Commission on Human Rights and the allusions to people of African descent in the Declaration of Mar del Plata in the framework of the Fourth Summit of the Americas in 2005 and in the Declaration of the Regional Conference of the Americas (Preparatory meeting for the Third World Conference against Racism, Racial Discrimination, Xenophobia and Related Intolerance), held in Santiago, Chile, in 2000. By the same token, a succession of mandates have come out of the [Summits of the Americas] and the General Assembly of the Organization of American States to combat racism and discrimination. The negotiation is at present under way in the framework of the OAS of a Draft Inter-American Convention against Racism and All Forms of Discrimination and Intolerance. It should also be noted that at both the regional and international level the majority of member states have signed, ratified or adopted, as the case may be, a variety of international instruments for the elimination of racial discrimination as well as for promotion and respect for the rights of persons of African descent.